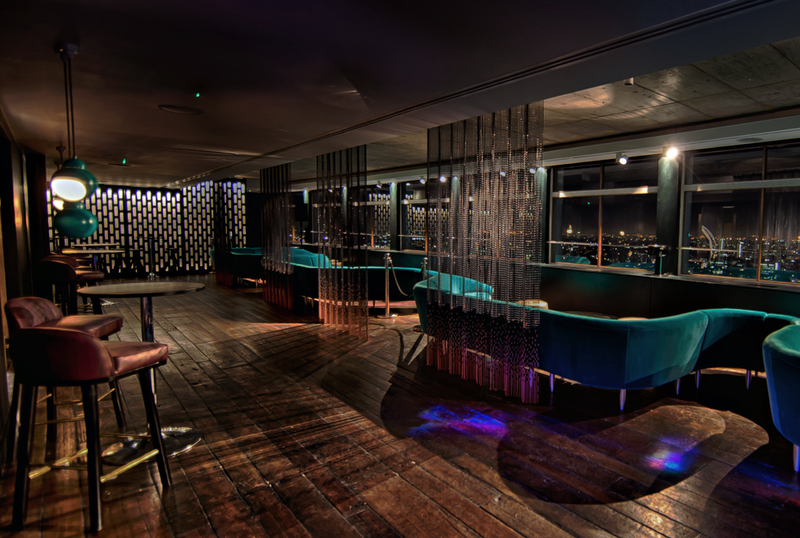 To create an interior that could transform from a memorable event space to a seductive lounge bar. The dramatic impact of the space must enhance and complement the stunning view, balanced by the practical implications of flexibility and duality of purpose. Concept for Zinc, Paramount, Centrepoint. 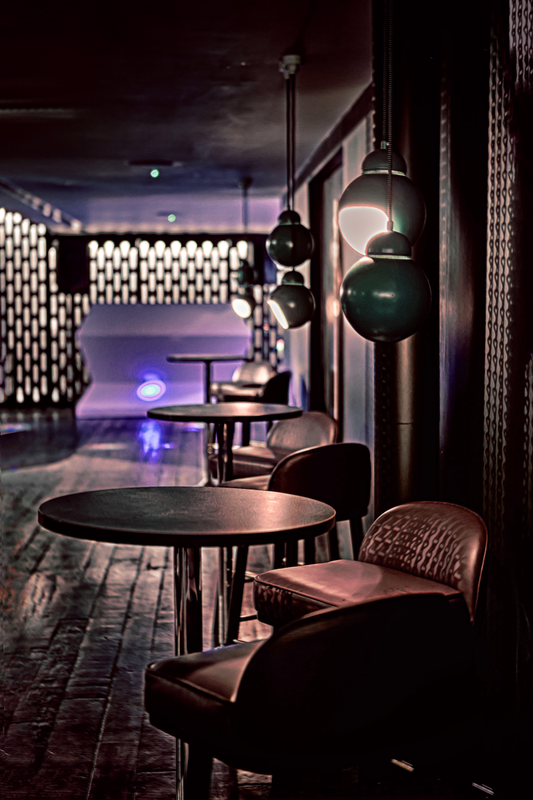 As the sun sets on London, Zinc comes to life; the dark seductive interior blending seamlessly with the inky night sky. Sumptuous, rich colour, tactile fabrics and ambient lighting combine to create a luxurious, intimate space. The design is inspired by the sixties heritage of the iconic building but belongs firmly in the present. 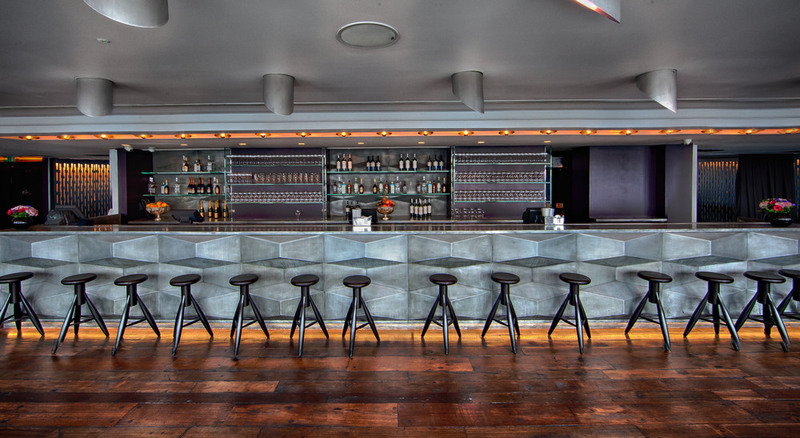 Bespoke furniture orientates visitors to the view, creating bold lines within the large open spaces. Fretwork inspired by an original Centrepoint feature, provides event spaces with a textural backdrop and comes alive at night.